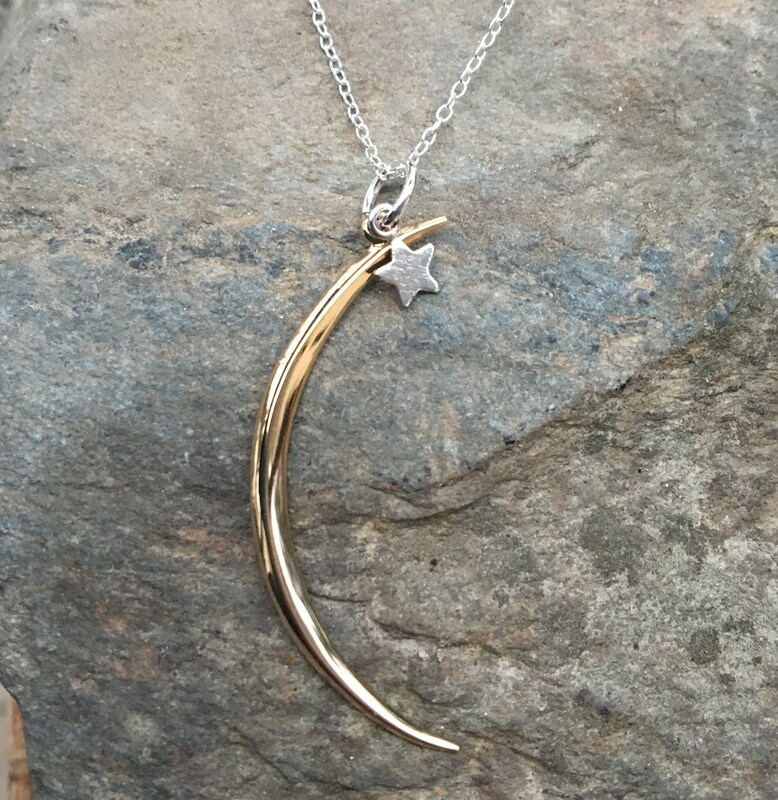 This bronze moon has a delicate sterling silver star that moves about. 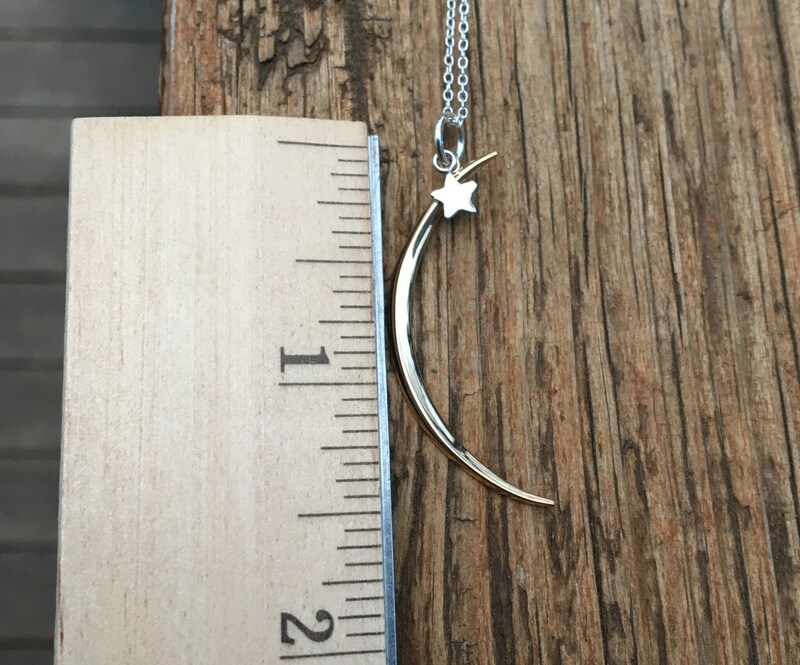 This a nice, light necklace with an eye catching size. 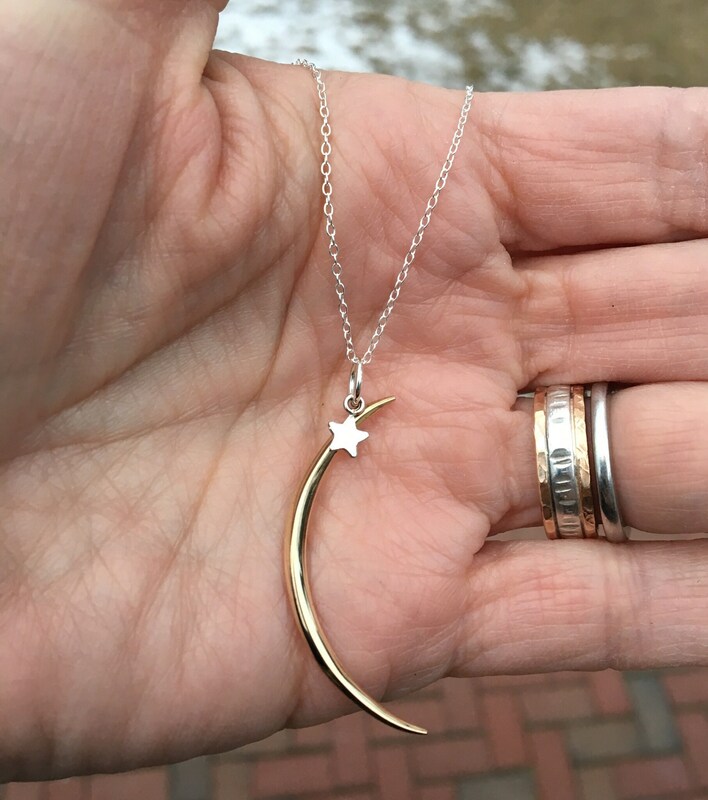 You may choose your sterling silver necklace above. 16”, 18” or 20”. See photos for size reference. Thank you!